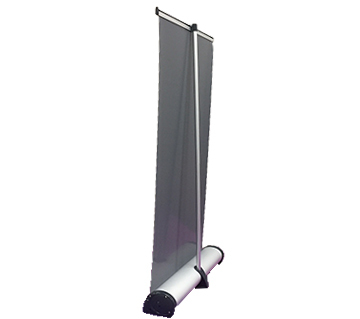 Our Medium Retractable Tabletop banner stand is perfect for small trade shows and presentations. 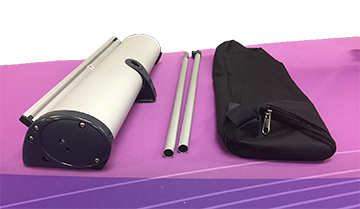 The graphic rolls up into the base and is easy to transport and set up. 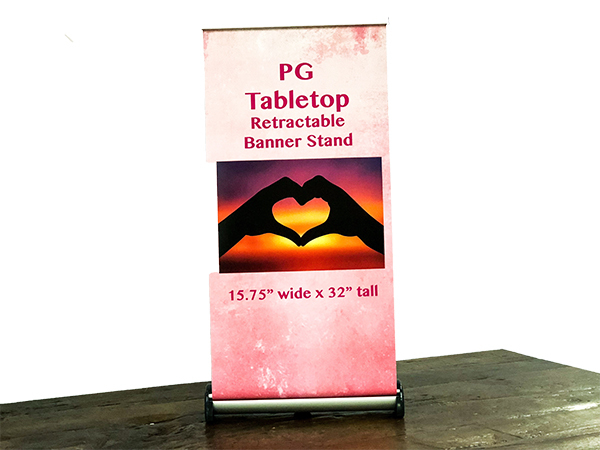 The graphic measures 15.75"w x 32" tall and is printed on smooth banner material. Comes with nylon carry bag.